Toast Box is a Singapore style diner that aims to bring back the coffee culture of the 50's and 60's, when people would indulge in Kopi coffee and sweet toast for breakfast or a mid-day snack. 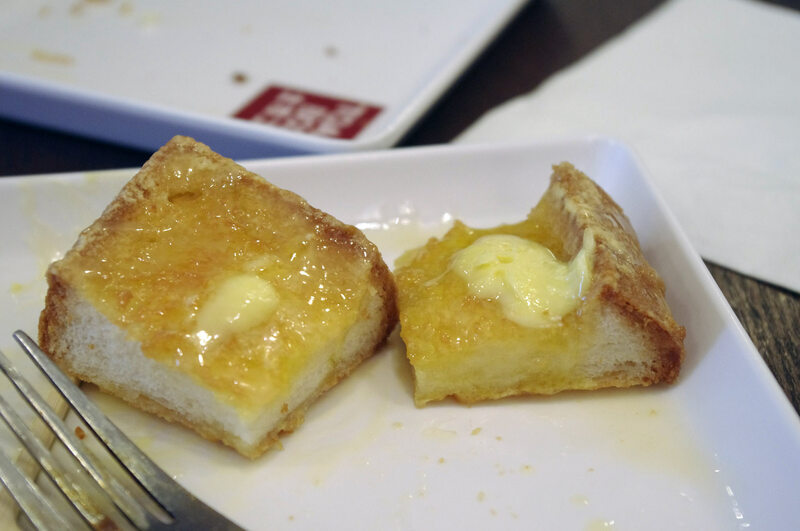 The 'sweet toast' is actually thick cut French toast slathered in 'kaya' (a blend of eggs, sugar and coconut milk), which is a typical Singaporean breakfast or snack item usually served with coffee. Coffee connoisseurs will want to get their hands on a cup of their signature Singaporean 'Nanyang black or white' at Toast Box. Nanyang is strong coffee created from beans that have been mixed with butter before being roast on charcoal giving them a distinct sweet flavor. At Toast Box order the 'Kopi O' (black coffee served with sugar) or the 'Kopi' (black coffee served with condensed milk and sugar). Toast Box makes a decent breakfast stop for French toast, eggs, coffee and buns. It's cheap, tasty, and all the restaurants are bright, with large tables areas. Since there are several locations around Hong Kong you'll have no trouble finding one close enough to your hotel for breakfast. The menu also has a number of savory Singaporean dishes such as 'Laksa' which is a coconut-based curry with tofu puffs, fish cakes and shrimps, and a few dessert options such as thick cut French toast topped with coffee and peanut butter ice cream, so if you need a mid-day pick-me-up, this is a great place to get it.